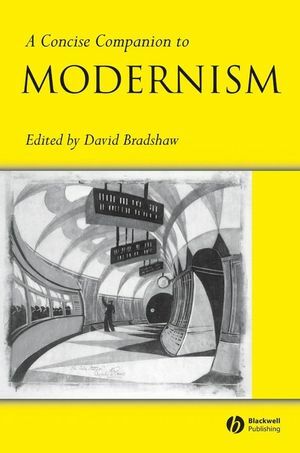 This concise Companion offers an innovative approach to understanding the Modernist literary mind in Britain, focusing on the intellectual and cultural contexts, which shaped it. Offers an innovative approach to understanding the Modernist literary mind in Britain. Helps readers to grasp the intellectual and cultural contexts of literary Modernism. Organised around contemporary ideas such as Freudianism and eugenics rather than literary genres. Relates literary Modernism to the overarching issues of the period, such as feminism, imperialism and war. David Bradshaw is Hawthornden Fellow and Tutor in English Literature at Worcester College, University of Oxford. Among other volumes, he has edited Brave New World (1994), The Hidden Huxley (1994), Women in Love (1998), Mrs Dalloway (2000), Decline and Fall (2001), and The Good Soldier (2002). He has also published extensively on Virginia Woolf, Modernism, and various aspects of literature and politics in the 1930s. He is an Editor of the Review of English Studies and a Fellow of the English Association.